Whether you impulsively got a tattoo one night after having one drink too many, or you carefully picked your design, you likely weren’t thinking about your future wedding gown at the time. Don’t fret. 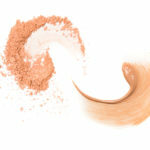 Tattoo coverup makeup is a staple in many makeup artists’ toolboxes and as a wedding makeup option. 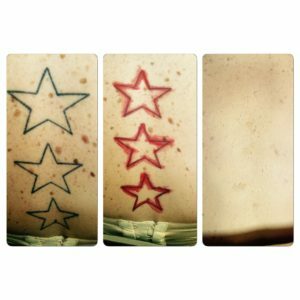 With the ever-growing popularity of getting ink, an entire industry of products and services has grown up around this trend to handle situations just like this. You aren’t the first bride-to-be to face this conundrum, and you certainly won’t be the last. You may be proud of your ink and feel that anyone who knows you and loves you won’t care. If you feel good about that – go for it. See how you feel when you start trying on wedding gowns, and if you are still sure about your decision, flaunt it on your big day. You can pick a dress that hides it completely, but depending on the location of the tattoo, it might narrow your wedding gown options a lot. So, find the dress you love, and then decide what to do about your ink. You might be able to hide it from the photographer with a simple shift of your pose, but you can’t hide it from everyone all day. Worst case – you’ll look awkward and unnatural in photos, so think carefully before choosing this option. If you pick a dress that shows the tattoo only a little, you may be able to add a bow, a brooch, or ribbon in a strategic location so that the design is rarely visible. Beware that things may shift around during the day and reveal your little secret. Laser therapy can remove tattoos, but this is not something to get done right before the wedding. You may have redness and inflammation in the area and need multiple visits to make it invisible. Do it way either way in advance, or after. This is the least risky option, and there are even specific makeup lines devoted to the coverup of tattoos. *If you’re considering option 6, read on for more about adding tattoo coverup to your wedding makeup repertoire. 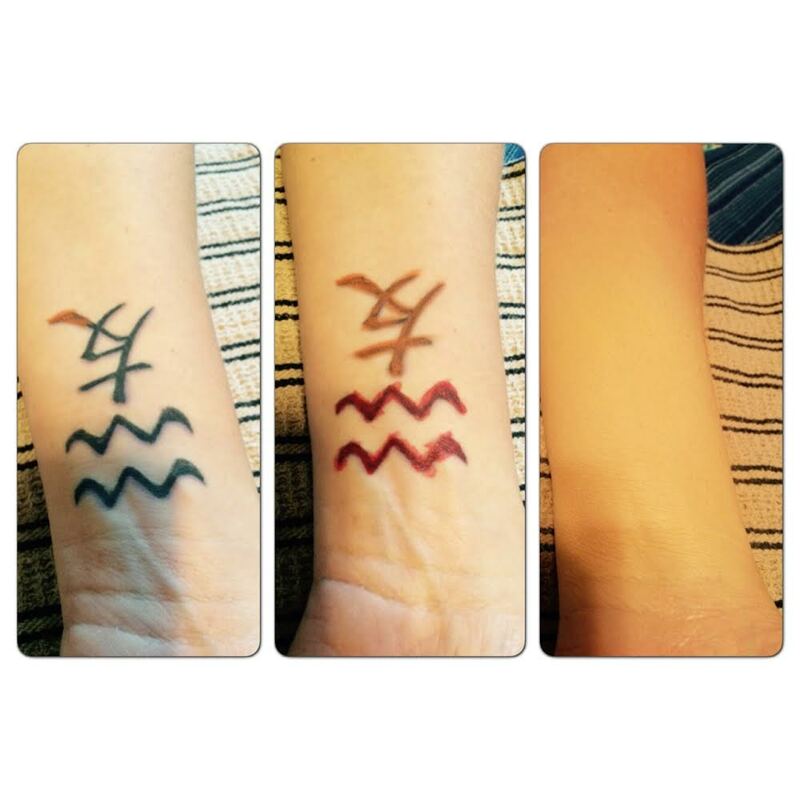 There is more than one line of makeup designed for tattoo coverup. These highly pigmented foundations/coverups make the ink disappear. Key Point: Work with a makeup professional to be sure you get the right shade, or it may end up more noticeable than your tattoo was. Depending on the location, you may not be able to reach it by yourself. If that is the case, ask someone to help you cover it up on the day of the wedding. Airbrushing is form of makeup application that involves a tool similar to an airbrush gun used for t-shirt and artwork designs. There is equipment available for purchase, but it is costly and will require a lot of practice. Makeup airbrush tools are expensive, as is the makeup that works with it. Research how much the equipment and makeup will cost and compare it to a professional’s charges to see if it is worth purchasing this tool for a single use. As you can see, you have plenty of options to hide your ink, depending on how big it is and where it is located. You just have to pick the wedding makeup option that is right for you.